Entry to the apartment is via the well-maintained communal lobby where there is a lift or stairs to access the 2nd floor. The apartment is all on one level and has been comfortably furnished for use as a private holiday home. It is carpeted throughout and has gas central heating. Kitchen: well-equipped fitted kitchen with an electric oven with hob, integral fridge, integral freezer, washing machine. Bedroom: wonderful views from the large bedroom which has a zip linked super king-size bed which can be separated to make twin beds on request, bedside tables and lamps, a TV, dressing table and built-in wardrobe. Bathroom: good-sized modern bathroom with a shower over the bath, hand basin, heated towel rail and WC. There is private off-street parking in the designated spaces at the back of The Granary building. 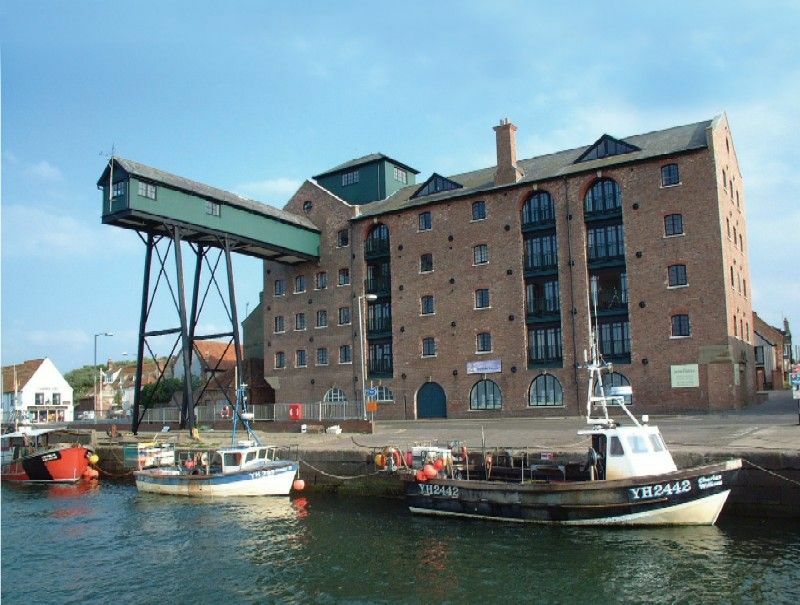 Being situated on the quay, it is only steps away from the local shops and path leading down to the sandy beach.